Bristol Gig Club is unique in that it is the only non-coastal gig club in England. In coastal towns, gig rowing is a central part of many seaside communities, and children learn to row from an early age. As a club we are very keen to ensure young people growing up in Bristol have the opportunity to try gig rowing. Gig rowing demands strength, stamina and being a team player, and is therefore a great form of exercise as well as a bonding social activity. 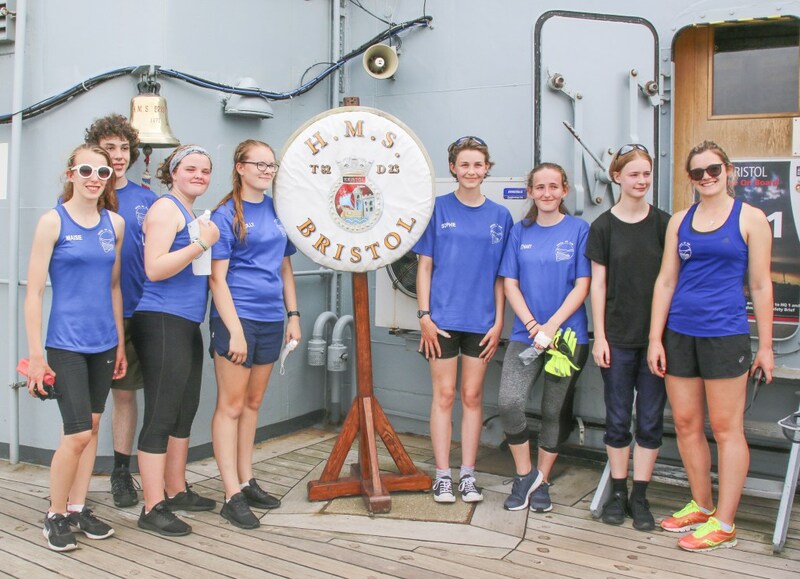 It would also be of great benefit to those studying Sports Science and is a way of involving young people in harbour life, which is so central to Bristol and it’s maritime history. Rowing in our youth crew is a great opportunity for improving fitness, developing team skills, and making friends. We row in the harbour on Saturday mornings and on Wednesday evenings. In the Summer we attend regattas on the coast, getting the chance to compete with other youth teams from around the South West. Young people are able to take part in rowing once they are in Year 7 and upwards. However, a key requirement is that they can lift one of our oars safely. Being able to swim 50 yards is desirable, but life jackets have to be worn by all under 16s. Youth can compete in under 14s and under 16s races. There are some under 18s races too, and over 16s can go for selection in our adult crews. We have a great youth coordination team, and many of them are experienced rowers. Our DBS checked youth coxes give encouragement and motivation, as well as advice on technical rowing skills. We’re always looking for new recruits. Young people can trial our rowing over three sessions after which they can decide to join the club.